Home Capital's shares have fallen by 60% as investors have pulled out. 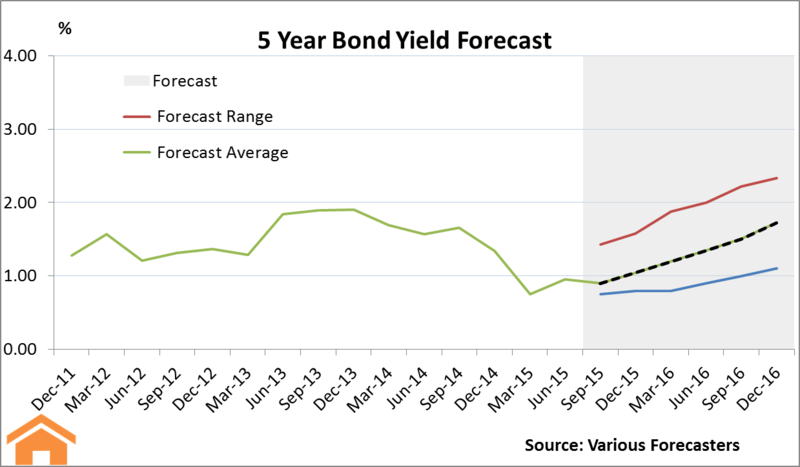 This doesn't mean that the broader mortgage market is in trouble, however. All three levels of government have announced some plans or intentions to shake up the real estate industry in BC. What are they? Does it matter? Shadow flipping is a hot-button topic in the Lower Mainland, but what is it? How does it affect the housing market? And what is being done about it? You should always pay down your debt before making investments. You will improve your credit and save money with less hassle. What is an Amortization Period? 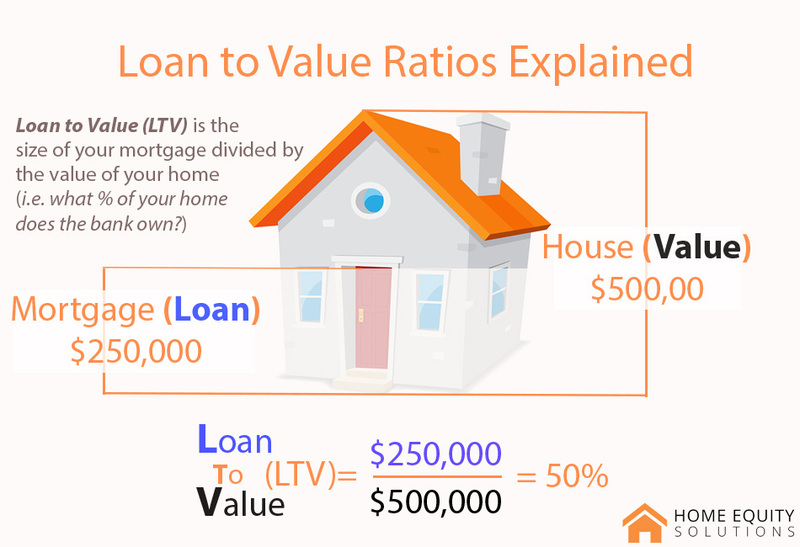 We provide an explanation of Loan-to-value (LTV) ratios in Canada. 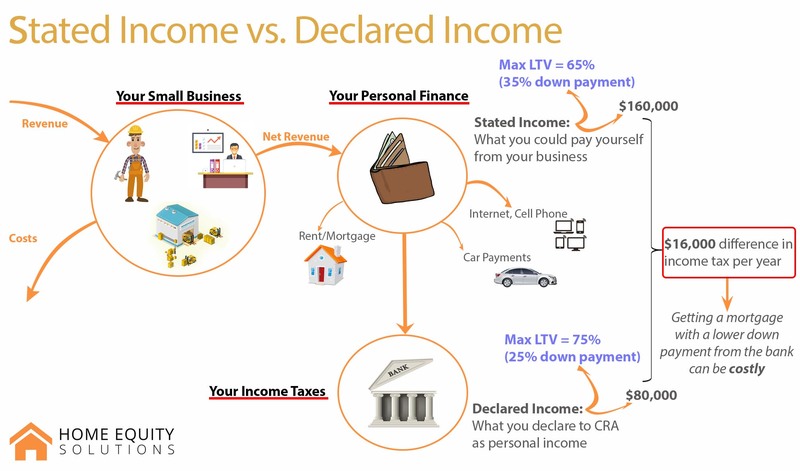 What they are, how they apply to you, and what LTV you can get. Self-employed and looking for a first or second mortgage? There are a few things that you should know first. Check out our article to find out everything you need to know. 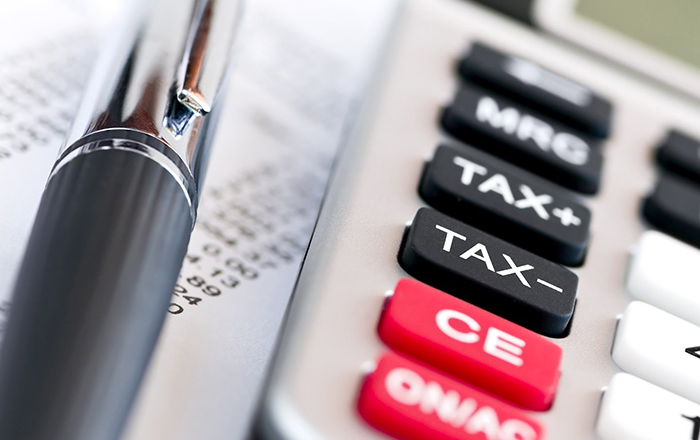 Canadian homeowner concerned about your taxes? A home equity loan can save you $1,000's in CRA late fees and interest penalties. Find out if it works for you. 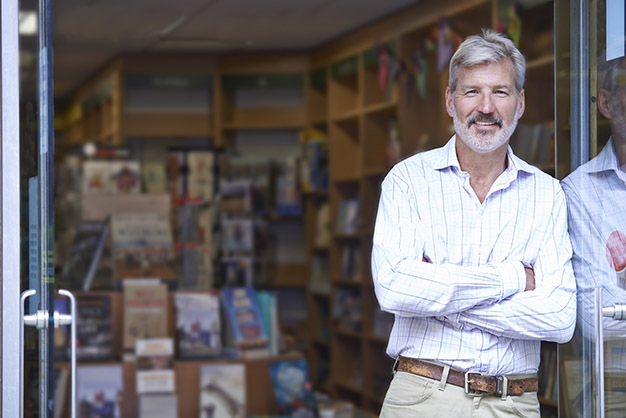 Looking for a loan for your small business? A home equity loan might the best thing for you. 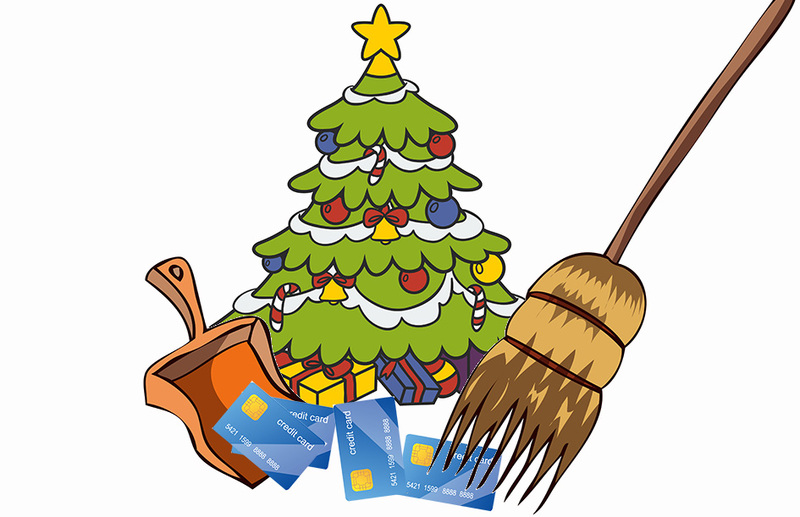 Leftover credit card debt is almost as bad as fruitcake, but at least you can re-gift fruitcake. 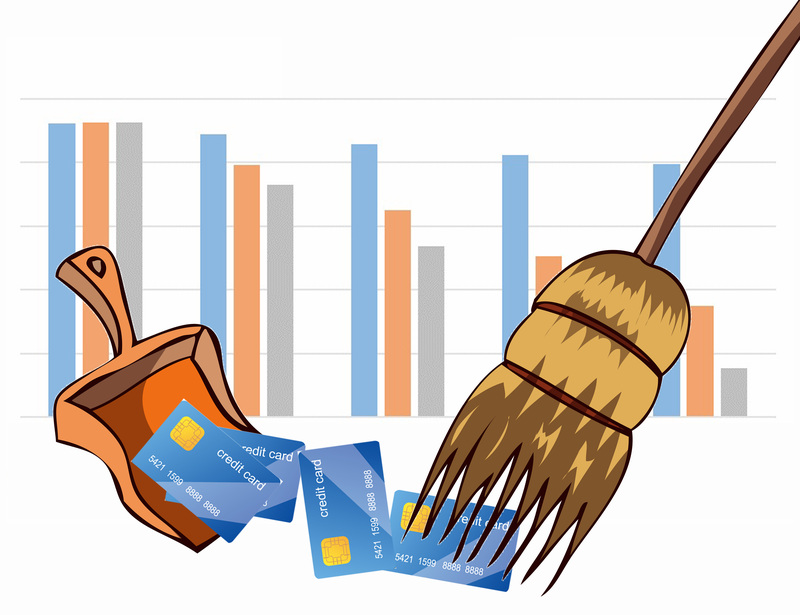 Don't hang on to credit card debt unnecessarily. We provide answers to the most common questions on debt consolidation along with an easy explanation of how our Debt Consolidation Process works. 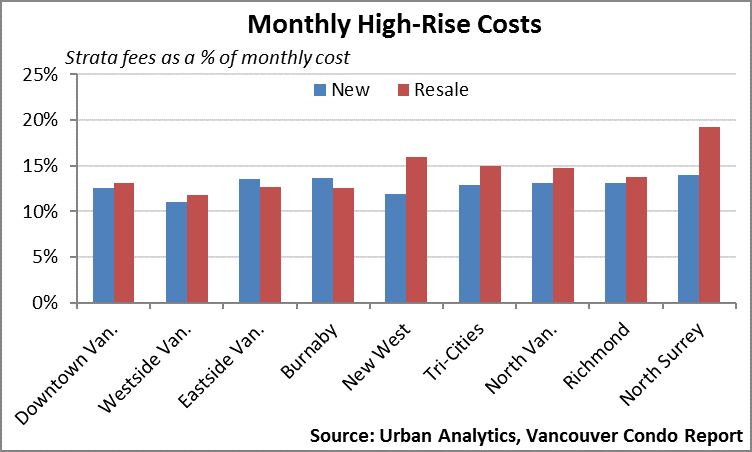 Property assessments are increasing sharply across the Greater Vancouver Area, especially in the city of Vancouver. 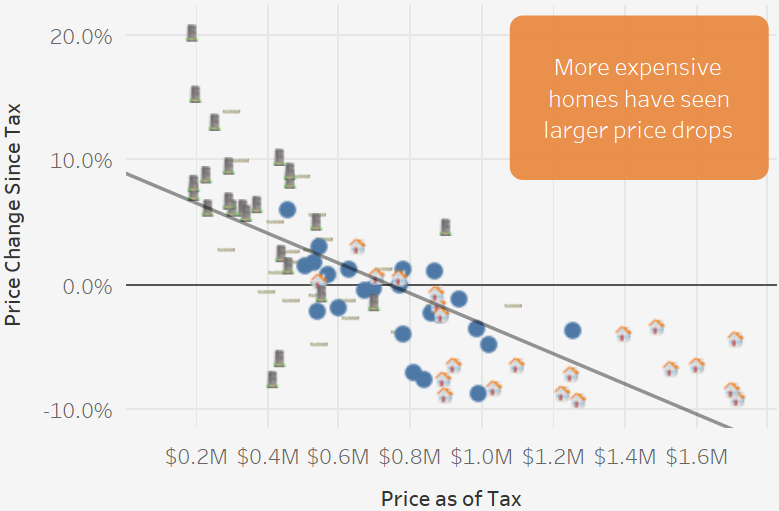 Property tax bills won't rise by nearly as much though. We explain why. 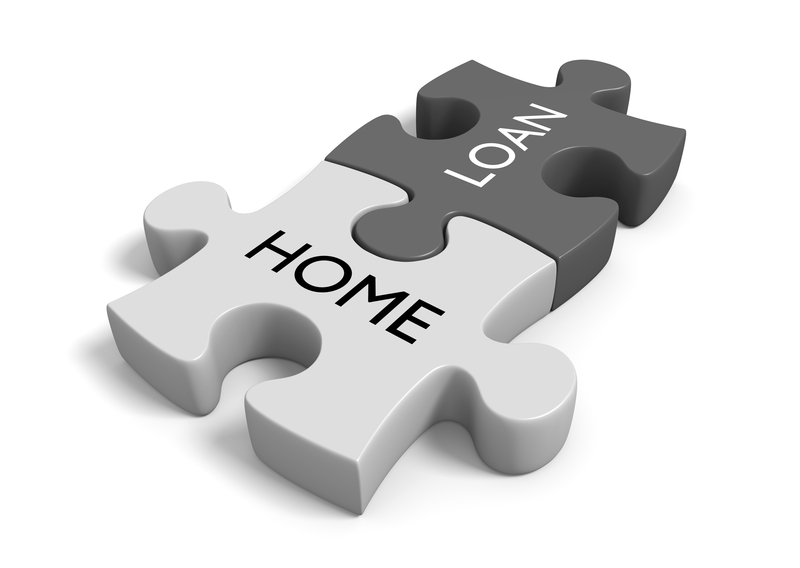 What is a home equity loan? What are the advantages? 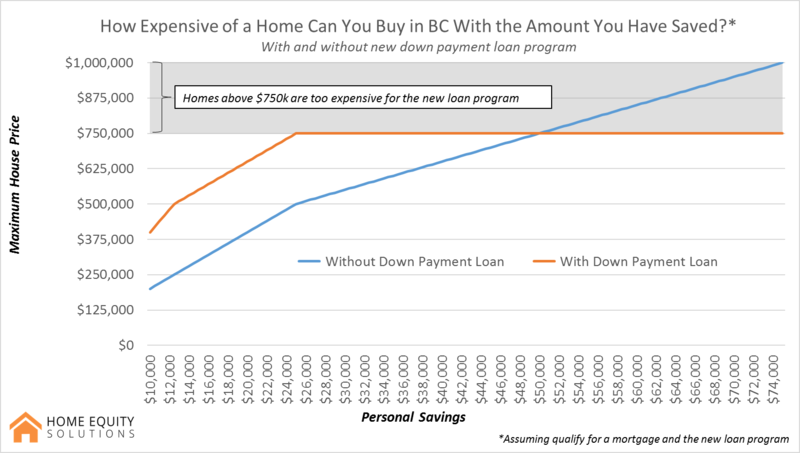 What are the typical uses of a home equity loan in Canada? Who uses home equity loans? We answer these questions and more. 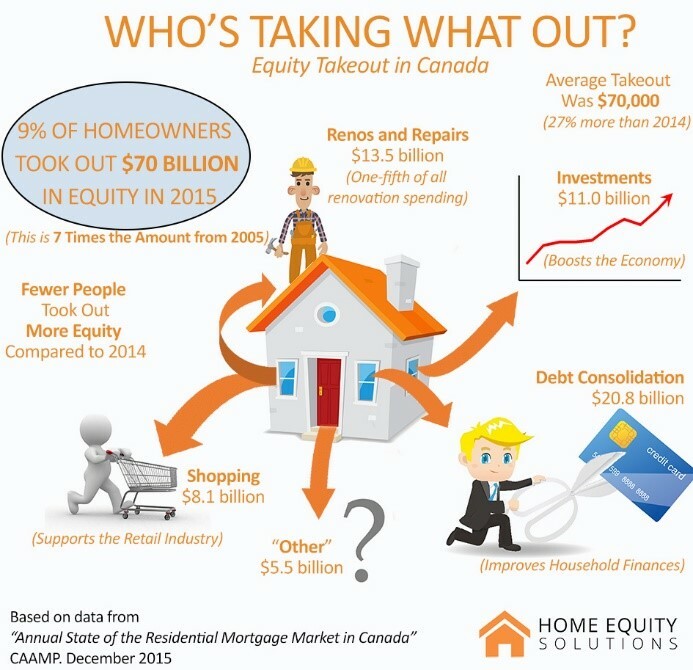 Home equity loans are growing in prominence in Canada. Their applications are widespread and their recipients diverse. This article outlines common uses. Higher Down Payment Requirements Coming. How Will You Be Affected? Transferring your debt from credit cards to a home equity loan is a great way to improve your finances, raise your credit rating and reduce your debt faster. 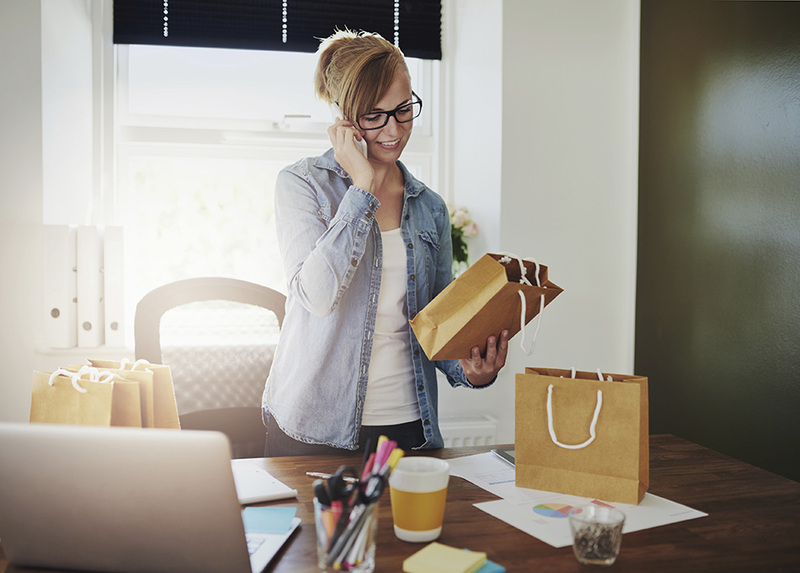 This article outlines 10 great reasons to consolidate your credit card debt and provides access to other educational content and online tools. This articles explains what we call the Virtuous Cycle of Debt Consolidation - the continual process of debt reduction, credit repair, and better financing that can save you thousands. We explain how it works and provide a number of additional resources. Want to know more about debt consolidation and how you can save money, raise your credit rating, and get out of debt faster without increasing your monthly payments? We provide a simple walk-through and explanation of the process. 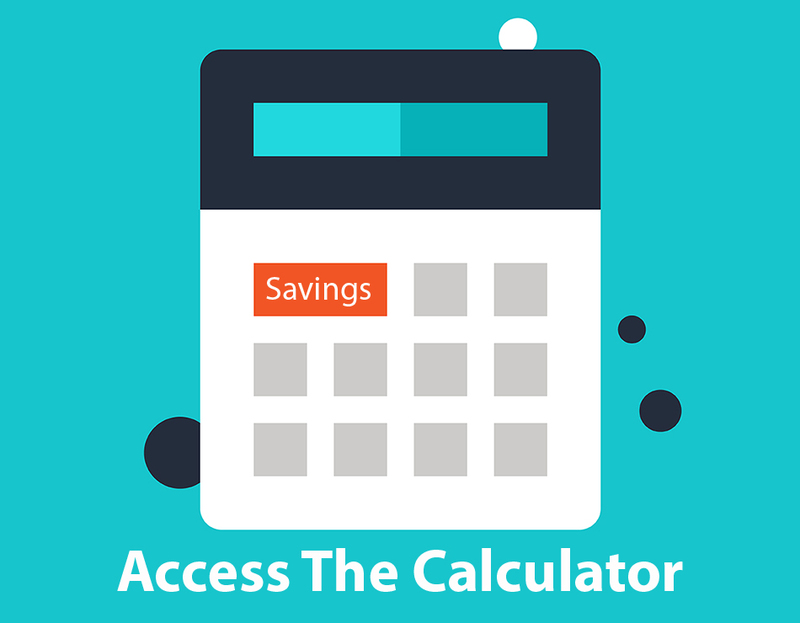 Interested in how debt consolidation can save you money? We are now offering free, customized Debt Consolidation Options Reports so you can see what options are available to you. 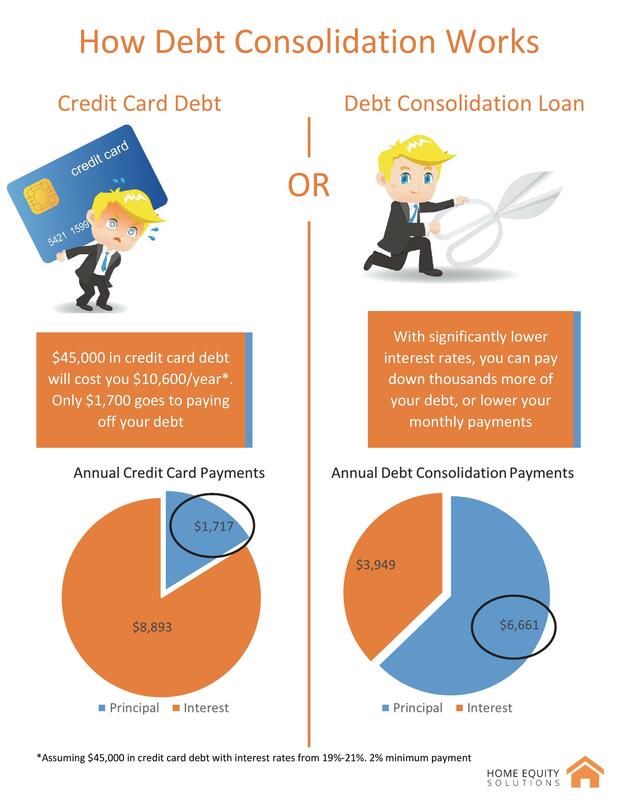 Curious about debt consolidation? What it is, how it works, how to do it properly? We answer all the common questions and provide a real life example of debt our debt consolidation process. 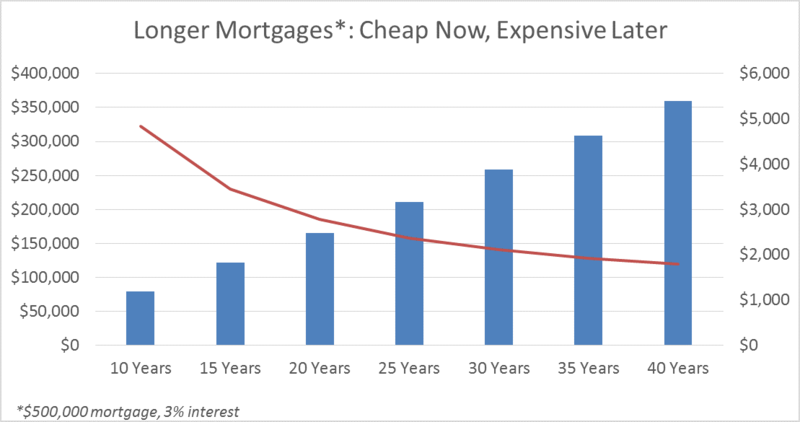 Trying to pay down your mortgage faster? 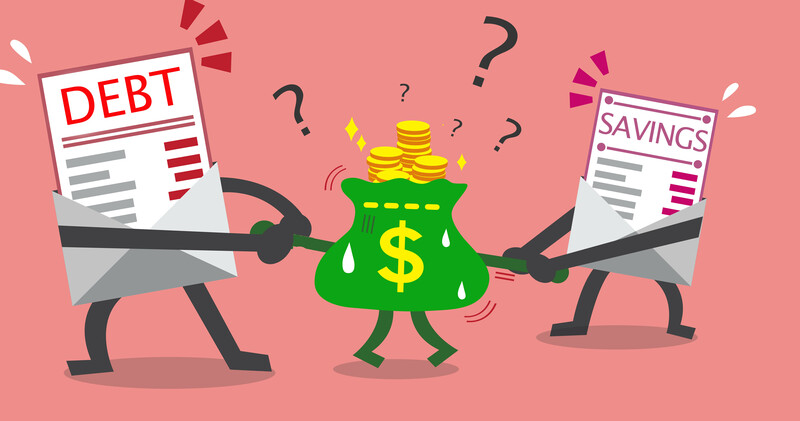 Making lump sum or accelerated payments are good ideas, but there are better options available. 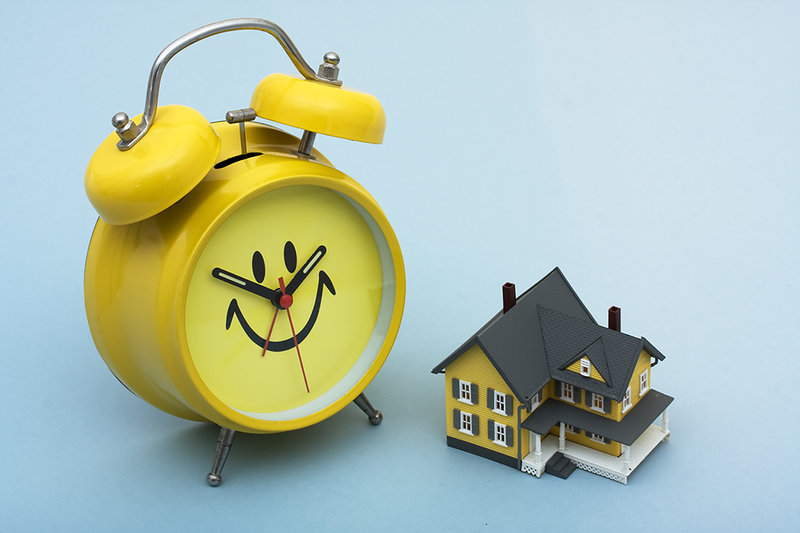 This article discusses easy ways to pay down your mortgage faster. With rising resale prices comes rising property tax assessments. Some have taken this to portend rising property taxes, but this belief stems from a misunderstanding of municipal finance in Canada. Curious about debt consolidation? Wondering whether it is right for you? We provide some helpful tips to get you started. Stephen Harper announced intentions to raise the homeownership rate in Canada. This article explains how he intends to do so, why, and the possible consequences. 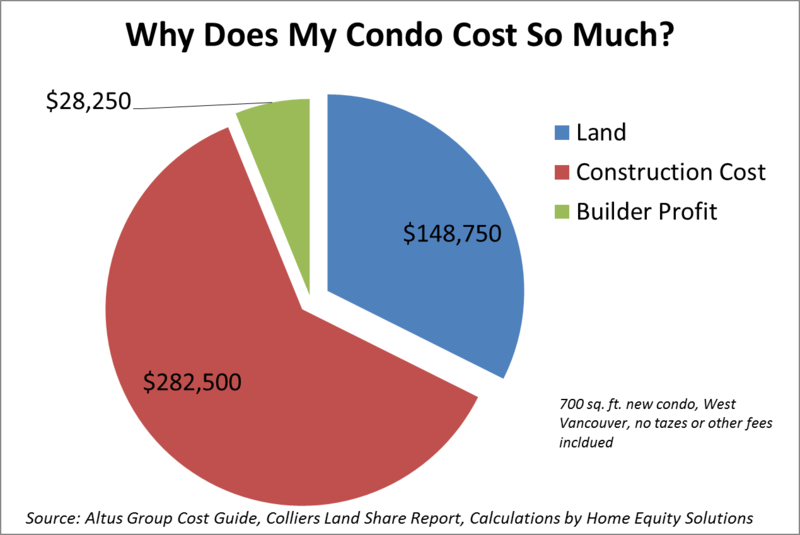 Why Does that Vancouver Condo Cost So Much? Your credit score determines what financial options are available to you. 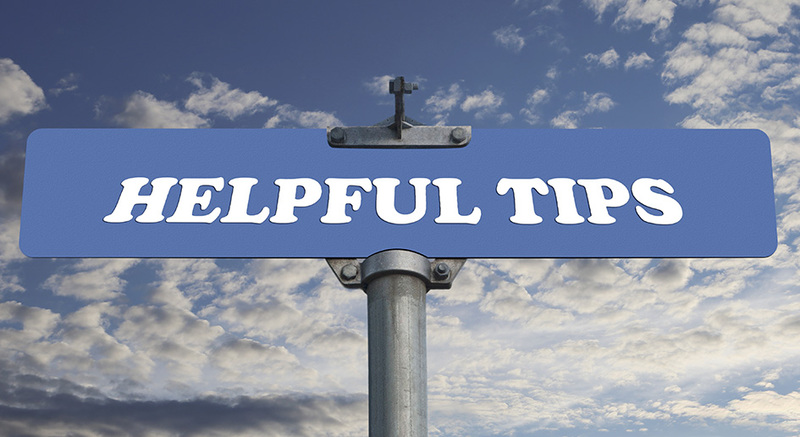 This article outlines some useful tips to repair and protect your credit rating. Are We Building Too Many Homes in Canada? 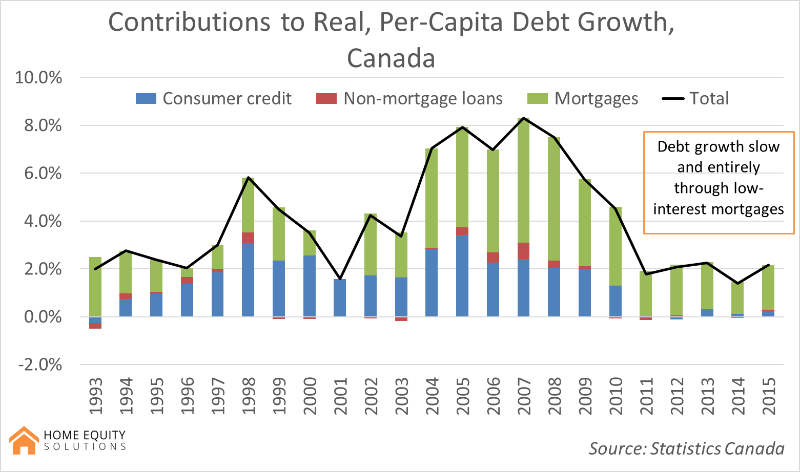 We highlight some research from the Bank of Montreal that aims to determine if we are building too many homes in Canada. If you are too lazy to read on, the answer is no. We provide a concise overview of the Fraser Valley real estate market with what you need to know if you are planning to buy. How Might BC be Affected by a Slowdown in Alberta's Economy? How connected is BC's economy to Alberta's. 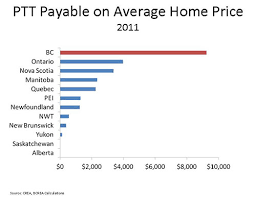 What will happen to BC's housing market as a result of a slowdown in Alberta's economy. We crunch the numbers to provide some much needed context. 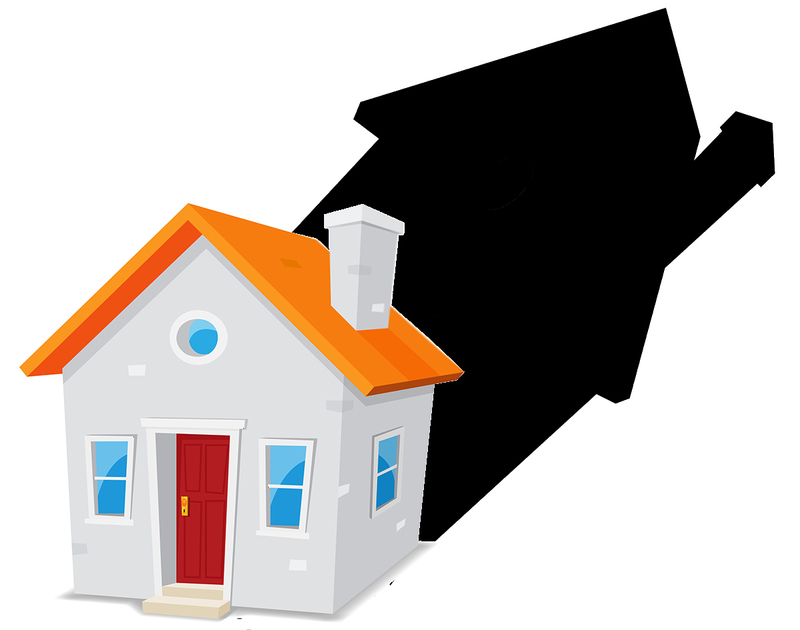 What is the "shadow mortgage market"? How big is it? Is it a concern? 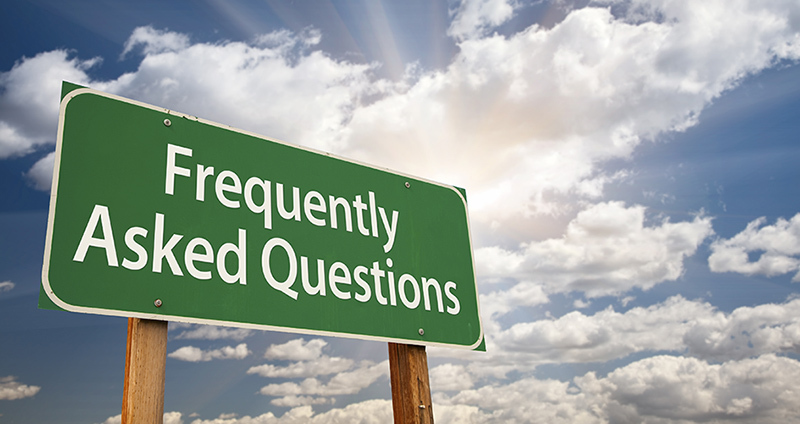 We answer these questions and more. A falling supply of single-detached home, largely the result of re-zoning, is the driving force behind rising single-detached home prices in the city of Vancouver, rather than foreign ownership. A recent (survey by CIBC)[A recent survey by CIBC indicates that most Canadians would use a rate cut to pay down their debts faster, rather than take on more debt] indicates that most Canadians would use a rate cut to pay down their debts faster, rather than take on more debt. From interest rates, to immigration, to foreign investors, we examine some major factors affecting Canada's housing markets in 2015 and going forward. 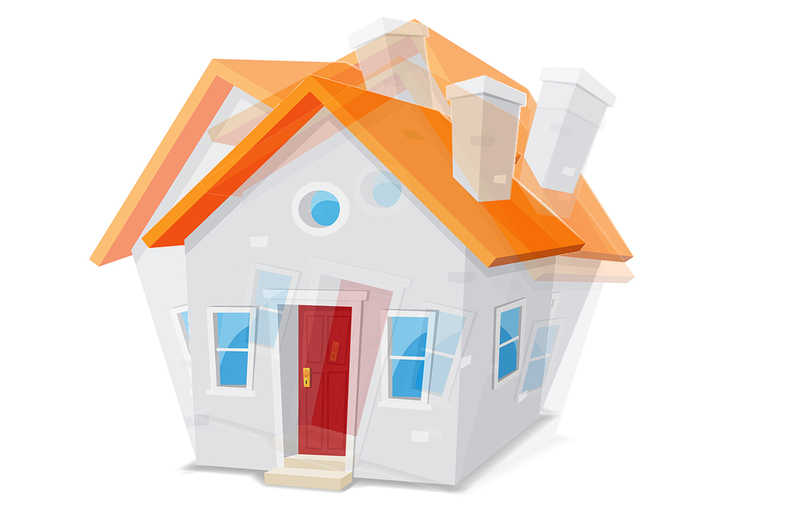 This article provides a concise description of homebuying in Canada. 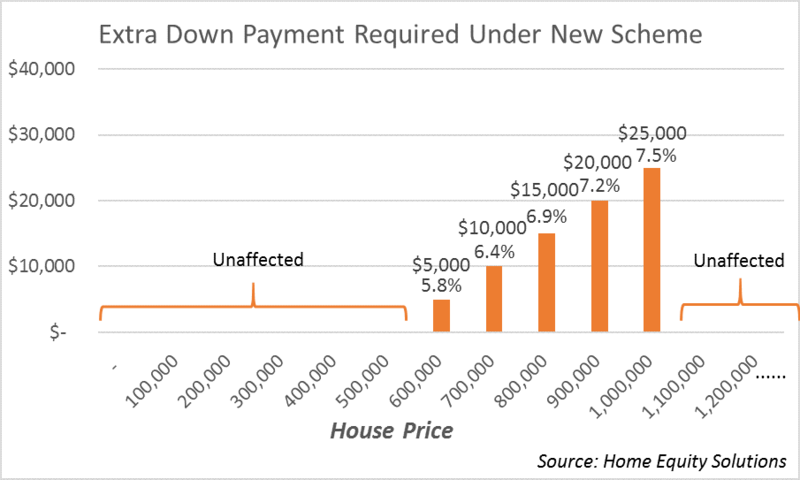 Where are down payments coming from? What would happen if regulation changed? You name it. 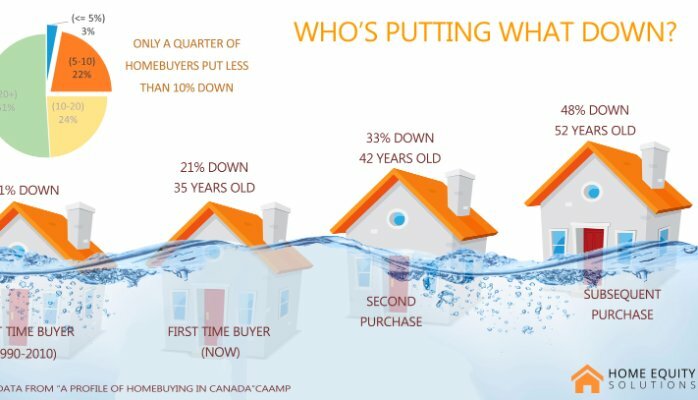 Canadian mortgage brokers are getting a bigger piece of the pie compared to previous years, gaining ground with both first-time homebuyers and repeat buyers. We highlight this and other useful insights from CMHC's recent Mortgage Consumer Survey.